Corn’s latest book (also co-authored with Isikoff) is entitled Russian Roulette: The Inside Story of Putin’s War on America and the Election of Donald Trump. It is an incredible, harrowing account of how American democracy was hacked by Moscow as part of a covert operation to influence the 2016 US presidential election and help Donald Trump gain the presidency. Melissa Parker (Smashing Interviews Magazine): David, what were you and Michael (Isikoff) trying to accomplish by writing Russian Roulette? David Corn: It’s a bit of a blur. We’ve been working on this nonstop for about a year, and we were trying to accomplish two things. We’re both investigative reporters, so we want to get scoops and advance the story whenever we work on anything. So one goal was to get new information out about our subject matter that we covered a lot and that was still a moving target. The other goal was to take all the different elements of the story that have been reported on at different times in different ways, a piece here and a piece there in a news cycle or news environment where people are inundated with information about this story and other stories, and take everything that’s out there and everything we could find that was new and weave it into a coherent, comprehensive narrative that tells what we know to date, so that people can see things in a clear way. When you start laying it out as a narrative, you see very obvious patterns and can comprehend a very unwieldy scandal that is covered in an on-again, off-again way amidst the chaos that has descended upon the political world and the world beyond that. Melissa Parker (Smashing Interviews Magazine): What are some of the scoops that were found during your research? David Corn: I think there are several scoops or new elements of the story that we include in the book. We have what is the most comprehensive account of Donald Trump’s trip to Moscow in 2013 when he brought his Miss Universe contest there, and as we convey the story, it seems pretty clear that this event was the beginning of his bromance (or it might be something darker) with Vladimir Putin. In looking at Trump’s reaction to mounting the Miss Universe contest in Russia, you see a series of fawning tweets and remarks starting months before the event, into the event, at the event and after the event, about Vladimir Putin. At the time (not unlike now), Putin was a repressive autocrat, and his administration had just implemented a severe law that criminalized positive discussions of gay rights. His regime was already known for creating an atmosphere for which dissidents and journalists were routinely killed, yet Donald Trump kept saying positive things about him. It seems pretty clear there are two fundamental reasons for this. One seems to be his aspirational identification with Vladimir Putin, as if Donald Trump himself wants to be an American oligarch or he has an affection for strongmen as we’ve seen in events as president. Another less open to interpretation reason was that Trump had a very strong desire to do business in Russia. He had spent 30 years trying to build a big Trump Tower in Moscow, and he’d had deals come and go and never succeeded. He regarded the Miss Universe contest as a stepping stone to getting a big deal in Moscow. To put on the contest, he had teamed up with Aras Agalarov who was an oligarch and a builder at a big construction firm, and he was very close to Putin. Trump realized if Miss Universe succeeded, he could work with Agalarov to build a big project in Moscow, and indeed, at the end of the Miss Universe contest, they announced they were going ahead with a gigantic project that would probably cost billions of dollars that would include a Trump Tower. Trump knows, and it doesn’t take a lot of savvy to realize this, that you can’t do a big project in Moscow, certainly not as a foreigner, if you’re saying things that are critical of Vladimir Putin. So he flattered Putin throughout this time frame because he wanted this deal to go ahead. When he was in Moscow with the Miss Universe contest, he was obsessed with meeting Putin. He kept asking, “Is Putin coming to the Miss Universe contest? Is he going to call me? Can we meet?” He had heard that Putin wanted to meet him, and he kept asking, “When is this going to happen?” He was singularly focused on meeting Putin. As it turned out, Trump got a call from Putin’s office, and they said that Putin would not be able to meet with him. But Trump, in his usual fashion, told a Miss Universe staffer, “Well, you know, we could say that he came, and no one would know that he didn’t.” The staffer didn’t want to go along with that, so that didn’t come out. But a lot of the mysteries of Trump’s affinity for Putin and his unwillingness to say a negative word about this repressive leader goes back to this event, and we tell that story with all its color in the book. That’s just one of many news stories we tell in the book that I think are significant. Literally, Melissa, I could go on for a long time about that, but what’s the next question? Melissa Parker (Smashing Interviews Magazine): You’re the expert on the Steele dossier since you broke the story. There are some findings in the book that may make the “golden showers” claim credible … or not. What are your instincts telling you? David Corn: There are parts in the book that make it seem less likely and parts that make it seem possible. The book breaks the news that Christopher Steele thinks it’s only a 50-50 possibility that it’s true. We covered the time Trump was in Moscow, and it doesn’t seem like there were a lot of opportunities for this to have happened. It doesn’t mean it didn’t. But it remains unconfirmed. We do report that a friend of Trump’s said that in the 90s, Trump was taking trips to Russia to meet with women who would do things that American women wouldn’t do, and the Steele dossier does note that on other trips to Russia, Trump engaged in personal activity that might cause him to be vulnerable to blackmail. All I know is this. Trump went to Moscow a bunch of times and that anyone of his prominence that is going there would’ve been of great interest to the Russian intelligence services, and they would, no doubt, be watching, following and most likely recording what he did. So if he did anything that someone might consider untoward, sordid, inappropriate, there’s a highly likely chance that was watched and probably captured. So it could well be the case that this particular allegation is not true, might be a conflation of other stories, might be in reference to something else and that Trump might have been caught in another way. That’s all speculation. Even Donald Trump deserves a measure of fairness here. I’ll say that I was the first reporter to report on the existence of the Steele memos. I did not cite those allegations in my story because I could not confirm them, and I thought that even a fellow like Donald Trump, who would not have this regard for anyone else, ought not to have to answer those unconfirmed allegations. Now that they’re out there, it raises questions that we still don’t have all the answers to. Melissa Parker (Smashing Interviews Magazine): Do you offer proof of collusion, or would Trump be called a “useful idiot,” who was used by Russia? David Corn: Yeah. It’s not mutually exclusive, and the word “collusion” can mean many things. Trump and his champions seem to suggest that collusion can only happen if you have evidence that Trump sat down with Russian agents and told them what to hack and how to use that material, that anything short of that is pure nonsense. That’s not the case. The book shows that there were multiple times Trump’s campaign advisors were making contact with the Russians, and this was happening at a time when the Russians were conducting information warfare against the American democracy by trying to subvert the election with their hacks and their dumps of stolen material. In early June 2016, it’s reported that the Russians hacked into the Democratic Party, the Democratic National Committee, and in July, the material stolen from the Democrats was released ahead of the Democratic National Convention to cause chaos. Experts and others were saying that this was all the work of the Russians. Through this time period and after, you had campaign advisors for the Trump campaign, particularly a man named Carter Page and a man named George Papadopoulos, talking to Russians and trying to make contacts with Russians. Papadopoulos had spent weeks and months trying to set up first a Trump-Putin meeting and then an off-the-record back channel using the campaign and Putin’s own office. They were doing this while that knew that Russians were messing in our election. By trying to reach out to the Russians, it seems to me they were sending a signal to the Russians and saying, “This is fine by us. This is okay.” It was basically enabling and emboldening the Russians. In fact, in early June 2016, there was this infamous meeting where a Russian emissary was supposedly bringing dirt on Hillary Clinton and met with Donald Trump Jr., Paul Manafort and Jared Kushner, the most senior advisors in the Trump campaign, and they were told that this was part of a Russian government effort to help the Trump campaign, yet throughout the summer and into the fall and even beyond, when there was discussion of the Russian intervention in the election, they kept calling it, as did Donald Trump, a “hoax” and that it was all made up. They were told that the Russian government secretly wanted to help the Trump campaign, yet in public, they denied the notion and dismissed it as ridiculous that the Russians were doing anything. So I think what they were colluding in was a cover-up. They were helping the Russians get away with it. The book confirms that in mid-August 2016, Trump, then the Republican nominee, got an intelligence briefing. At that briefing, he was told that the US Intelligence community had concluded that the Russians indeed were messing in the election, and they were behind the hacks and the dumps that were aimed at the Clinton campaign. Yet afterward, Trump continued to keep saying that this was all a hoax and that there was no evidence that the Russians were involved. So think about it this way. If you’re told that somebody’s robbing a bank and you’re standing on a street corner in front of the bank and tell a passerby, “There’s no bank robbery going on here,” you’re somewhat colluding with the bank robbers. You’re helping them get away with it. You’re making it easy for them. You are aiding and abetting them in a crime, and it was a crime to hack and put out stolen emails. You’re aiding and abetting a crime, so that’s the collusion we know of already. The book lays this all out, and you can see quite clearly what the Trump campaign knew, when then knew it and how they responded to the public reports and how they tried to deny them and make this story go away. So to me, the collusion case is hiding in plain sight, and when you do what Mike and I did and do a comprehensive narrative of the story, it just jumps out at you like, “Oh, this is what’s happening.” We also know that in the fall, Jeff Sessions and Michael Flynn were having private discussions with the Russian ambassador in Washington, and it seems they weren’t telling the Russian ambassador to knock anything off. So again, that’s what I would consider part of the collusion case. Melissa Parker (Smashing Interviews Magazine): The Republicans on the House Intelligence Committee ended their Russia investigation much to the dismay of the House Intelligence Democrats. Are they obstructing justice in a way by dropping this investigation prematurely? David Corn: I don’t think there’s an obstruction of justice case here in the legal sense. I think there is a travesty of justice here because the Republicans are neglecting their solemn duty to protect the Constitution and serve the American public. It is undeniable that Vladimir Putin tried to mess and actually did mess with the US election and attacked this country. This was an attack, and here we have Republicans who appear to be more concerned with protecting Trump than getting to the bottom of what happened and doing what might be necessary to prevent this from ever happening again. They do not seem that concerned with this violation of American sovereignty. It’s quite stunning, particularly from the party that used to be hawkish and always accused the Democrats of being weak. They’re being incredibly weak here in the face of authoritarianism from overseas. We live in a highly political environment. I get that. But still, maybe it’s naïve, but I feel disappointed that Republicans cannot put aside at least some of their political partisan priorities to focus on this big issue. I’ve been covering Washington for decades, and I’ve seen many investigations, even big ones like the Iran-Contra scandal, and there was always politics on each side. The party on the side of the president tries to protect him. I get it. But still, even within those constraints, you saw both parties focusing when they could on the big issues and trying to get answers. The American public deserves a full accounting of what happened and a full understanding of what’s being done to prevent it from happening again, and the Republicans are just walking away from that. They did not interview all the witnesses, the witnesses they did interview didn’t answer questions, and the Republicans said, “Okay.” They didn’t subpoena them, and they didn’t demand records to confirm some of the things the witnesses told them. It was a clown show of an investigation, and the American public deserves better. I would also say that our book is, in some ways, the antidote to the lack of a good Intelligence Committee investigation. Now we didn’t have subpoena power, so we could not do anywhere near what a congressional investigator could do, and it turns out that there are things in our book that were not even looked at by the Republicans on the Intelligence Committee. So we feel like we’ve done more work than they have. Melissa Parker (Smashing Interviews Magazine): Perhaps we’ll see more aggressive investigations if the Democrats win control of the House or Senate this year. 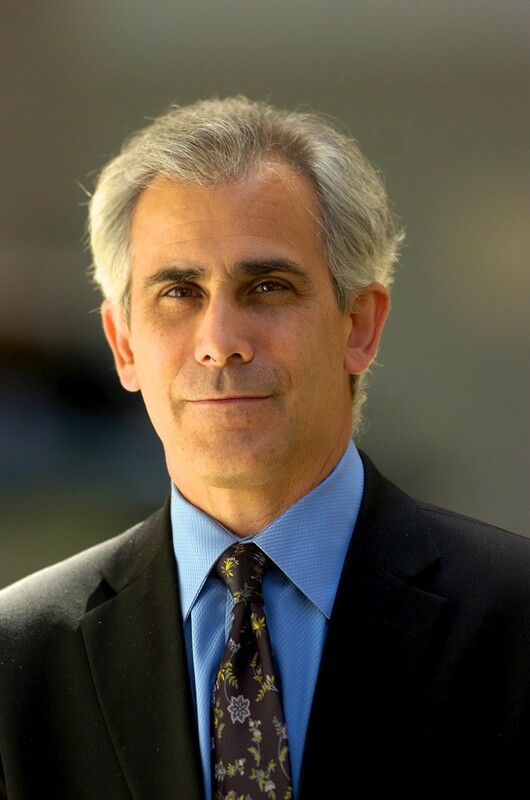 David Corn: I think we will. If the Democrats win control of the House, we may have a revival of the investigation of what happened in 2016 and certainly a tremendous focus looking at the federal government and what it is doing to try to stop this in 2020. But the midterms are a long time from now, and if the Russians meddle in the midterms, it may prevent a change of control in the House. Melissa Parker (Smashing Interviews Magazine): The White House still will not say if Vladimir Putin is a friend or foe of the United States. But recently, Trump imposed sanctions on Russia for election meddling and cyberattacks. Do you think these punishments will hinder the Russians from continuing to interfere with American democracy? David Corn: These sanctions only exist because Congress, in a bipartisan fashion, passed legislation last year compelling the Trump administration to implement these punishments. This was not Trump’s idea. The law came about after the Trump administration tried to weaken the sanctions that President Obama had imposed on Russia in late 2016 for its attack on the election. Moreover, these sanctions, which mostly are aimed at Russian targets identified by special counsel Robert Mueller, are hardly severe enough to dissuade Putin from trying to intervene in the upcoming midterm elections. The intelligence community expects Russia will once again attempt to subvert American democracy. The new sanctions will not protect the nation from that. I salute Mueller for working so hard to do what is RIGHT! I totally suport Mr. Mueller’s diligent work to maintain the integrity of Democracy in America! He is a true patriot, and Mr. Trump would do well to cooperate with every aspect of his investigation so that we can maintain a place of respect in the world! ” So think about it this way. If you’re told that somebody’s robbing a bank and you’re standing on a street corner in front of the bank and tell a passerby, “There’s no bank robbery going on here,” you’re somewhat colluding with the bank robbers. You’re helping them get away with it. You’re making it easy for them. You are aiding and abetting them in a crime…” I respectfully disagree with David’s assessment that Congressional Republican’s lack of action regarding a possible collusion is different than the person saying, “there’s no bank robbery”. They are abettors also.